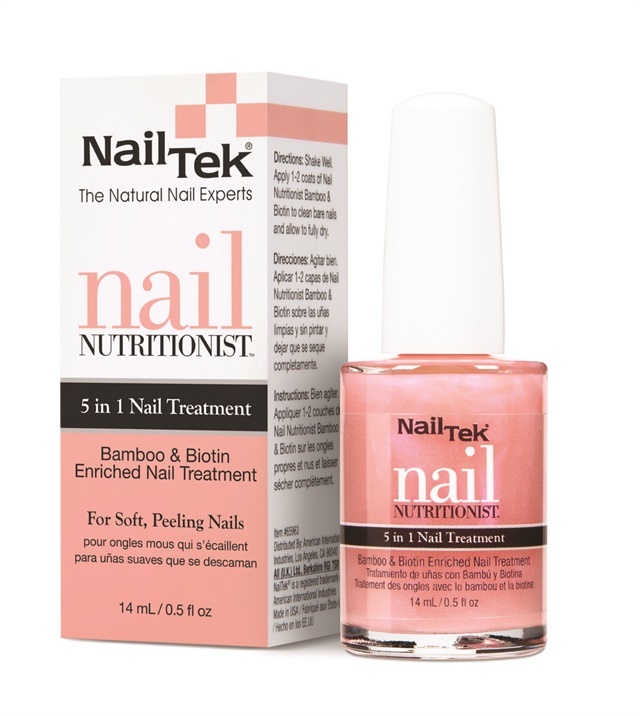 Treat your clients’ nails right with Nail Tek Nail Nutritionist Bamboo & Biotin Nail Treatment. The multitasking base coat smoothes and preps nail beds for better polish adhesion or when worn alone, enhances the natural color of the nail bed with a sheer pearlescent pink hue. Natural biotin helps reduce brittle nails and promotes nail growth, while bamboo extracts rich in silica supply nails with essential building blocks of nutrition for longer, stronger nails that are more resistant to breaking and splitting. For more information, visit www.nailtek.com.